Treat your little goblins to some Halloween fun! Several events are going on in Lone Tree to help you celebrate the spookiest season. 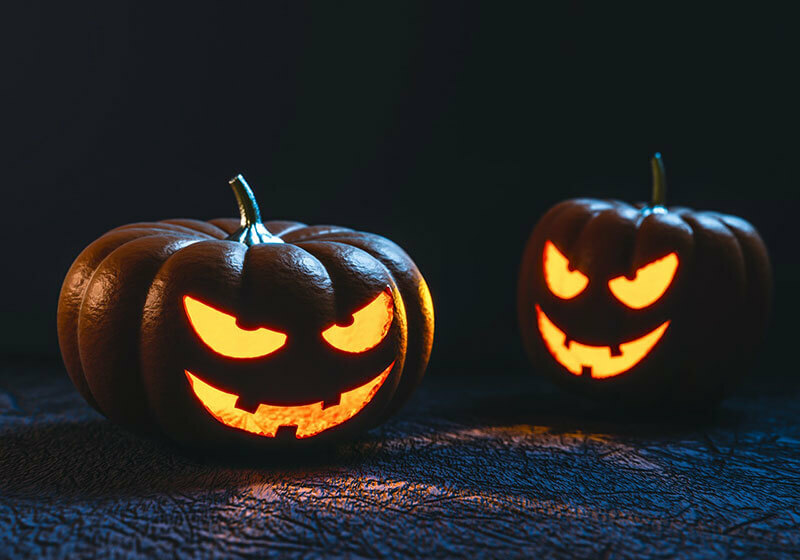 The Louviers Library will present Once Upon a Time: Haunted Douglas County (more appropriate for teens and adults) on Tuesday, October 24, at 6:30 p.m. Can you handle the creepy tales of mysterious and spooky occurrences in Douglas County? Register now to find out! Gateway Classic Cars is hosting its first annual Trunk or Treat event on Saturday, October 28. Treat yourself (get it?) to a variety of classic, muscle, and exotic cars while the kids grab candy from the trunks. This free event runs from 9:00 a.m.-noon and will offer coffee and donuts for trick or treaters of all ages. Wind your way through the seven-acre Corn Maze at Chatfield Farms, presented by the Denver Botanic Gardens. The farm is full of goblin-friendly fun, offering: a hay bale mini maze, weekend hayrides, fun games and activities, barrel train rides, a jumping pillow, and pony rides. They even offer rides in human hamster balls! Would that be a trick or a treat for your little monster? The Annual Fall Festival and Maze at Flat Acres Farm will be open through Halloween. Voted the best Pumpkin Patch in 2017 by the Parker Small Business Excellence Group, the farm will offer many activities designed for family fun. They also offer pumpkins for your home decor, carving traditions, and autumnal recipes. For the especially brave (or crazy!) ghouls in your family, there is the Reapers Hollow and Dead End Motel. Reapers Hollow is an isolated corn field with a shack in the middle, offering scary mysteries to those who dare to investigate. Hint: you’re probably not alone out there. Want to extend your experience? The Dead End Motel promises to make your stay “dreadfully entertaining,” with newly-renovated cabins and a pond offering some much-needed peace and quiet. These activities are just a few examples of why Lone Tree remains one of Colorado’s best cities in which to raise a family. Heritage Hills residents can also enjoy the beautiful fall season and stay fit throughout the holidays, thanks to a wide variety of walking trails, golf clubs, and fitness amenities in their own community.